The longest running music show in Dutch television history. Toppop started on 22 September 1970 in black and white, broadcast by the Dutch television company AVRO. Presented by Penney de Jager and Ad Visser at first, Ad Visser is to become the main presenter of the show during its most popular years until 1985, when he decides to quit. In the 15 years inbetween, Toppop undergoes a multitude of changes. One thing remains the same: the half hour show presents the biggest chart hits of the week, and is broadcast throughout the year, with the exception of three months in the Summer. Toppop was an important show for artists to perform is as the Dutch market was one of the biggest and most progressive on the European continent. More often than not, studio performances in Toppop were used in other countries as promotional videos in the 1970's. When Ad Visser quit Toppop, his presentation duties were taken over by Kas van Iersel for one season. The next season, Bas Westerweel and Leonie Sazias took over, and in the eighteenth and final season, Bas Westerweel presents the last 35 episodes solo. On June 27, 1988, the final Toppop is broadcast. However, this is not the end: two seasons of Toppop gogo follow, a programme with a lot of videos and interviews on location. AVRO cancelled the show in 1991, but always realised how important the show had been for its viewers. Which is why it was often referred to in jubilee shows and reunions. Snippets of old performances from Toppop were used for a Never mind the Buzzcocks-style music quiz show entitled Toppop Yeah, which was first broadcast on May 16, 1998. The quiz ran for a couple of years and was presented by Bart Peeters, who also presented Toppop Non-stop, a show in which old performances were broadcast in full. 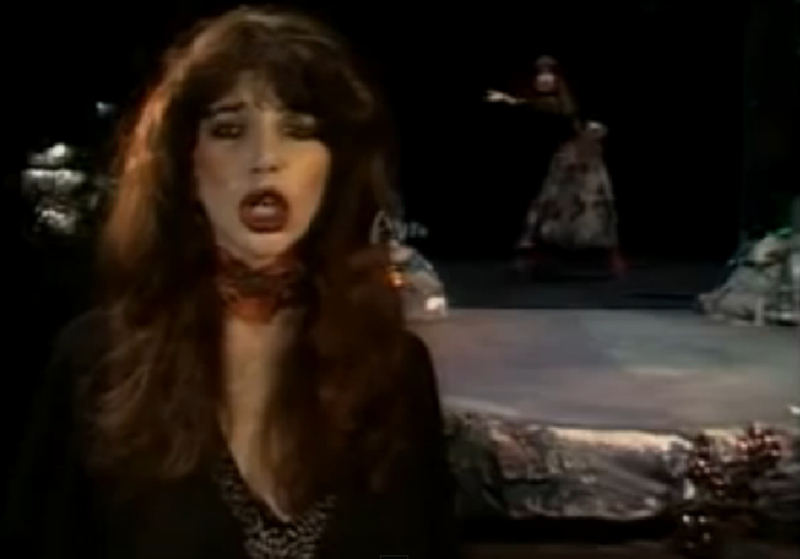 Kate Bush appeared on the programme several times, although usually her music videos are shown. Only twice does she appear exclusively in the Dutch programme: she appears in the studio on the 25 March 1978 edition to perform Wuthering Heights. In the 16 November 1978 edition some footage from the Lionheart launch party in Castle Ammersooyen is shown. During this occasion she also receives the prestigious Edison Award.